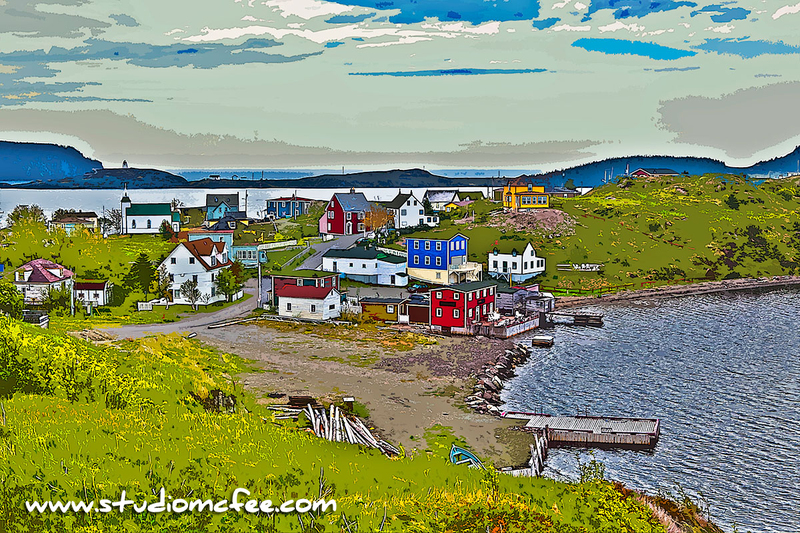 Here's something a little different - a digital impression of Trinity NL. Trinity is a very photogenic little town. It's undoubtedly one of the most photographed locations in NL. With so many photographic images of the place, I've chosen to create a digital impression in order to share something new. The town's website tells us that it "has been a viable North Atlantic community for hundreds of years. Its defensible harbour, with abundant room for the ships of the day and shores well suited for outbuildings, wharves and fish-flakes, made it ideal for the early migratory fishery." The fisheries and related industries sustained the town for centuries. This is no longer the case. Heritage and tourism have become the economic driving force. The website says Trinity is now "perhaps the most notable 'heritage community' in the province." No argument there. It is truly a picturesque and friendly town just brimming with history. Click HERE for The Skerwink Trail - Part One.